In 2014 Girona province received 4,7 million foreign tourists . Have you ever seen a city bedecked with flowers? Girona, Temps de Flors is an exhibition held in May, with spring in full swing. For a few days, the colours and aromas of flowers fill the squares and streets of the city of Girona. Following the exhibition route is a thrilling experience, a real gift for the senses. 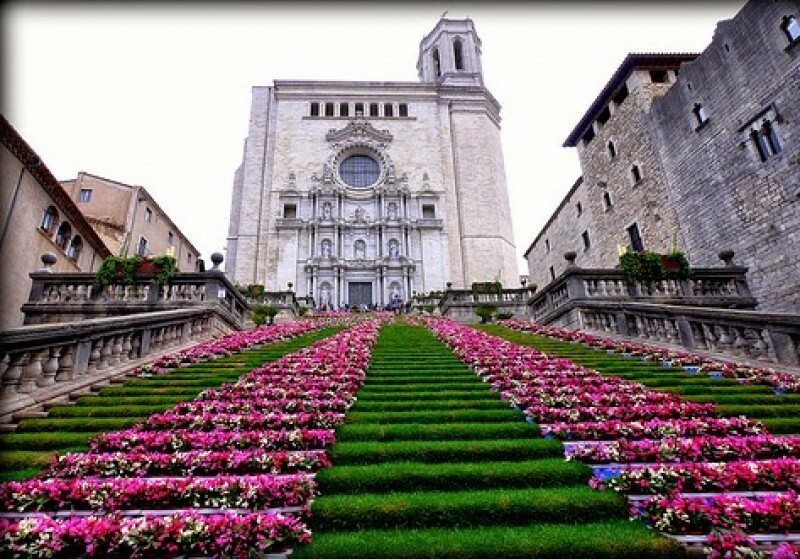 Girona becomes a huge canvas for artistic expression, where the beauty of the floral compositions is in perfect harmony with the city's wonderful architectural and historical heritage. Since it was first held in 1954, the exhibition has moved around some of the city's best-known landmarks. In 1993, Girona, Temps de Flors became an official route that enables visitors to enter courtyards and gardens of dwellings and buildings of great cultural interest that are not open to the general public during the rest of the year. Apart from the artistic displays, the festival also includes many other activities with something for everyone: flower, photography and film competitions, among others; the A Cappella music festival; special gastronomic offerings in many of the city's restaurants, where flowers are included among the ingredients; participation in the putting together of flower displays; and many other activities worth experiencing. That's why Girona, Temps de Flors has grown famous beyond Catalan borders and has contributed to raising the profile of our city as a tourist destination.